Taking a caravan or camper trailer to Kangaroo Island is easy, just advise us of the length of both your towing vehicle and trailer and book in advance! 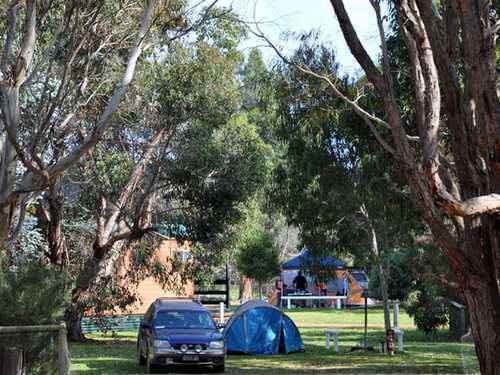 Kangaroo Island Caravan Parks include private and national park owned caravan parks and at peak times it is wise to book ahead. 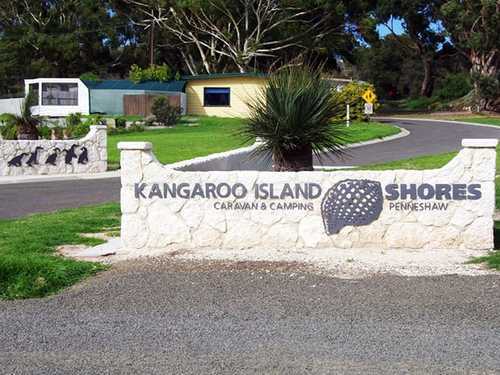 If you wish to go camping on Kangaroo Island there are Council owned campgrounds as well but these cannot be booked ahead and it is a first come, first served basis with a self-registering system. 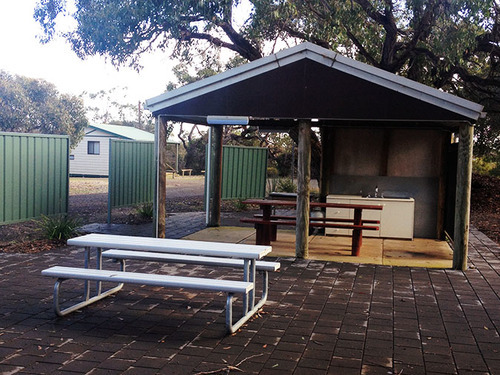 Pre-bookable caravan parks are located at Penneshaw, Kingscote (Brownlow), Parndana and Western Kangaroo Island with campgrounds also available at Discovery Lagoon, West Bay, Snake Lagoon and Rocky River. Based on an un-powered camp site (off-peak season). Nestled amongst an attractive bushland setting, on a beach of Nepean Bay, you can enjoy our resident Pelicans, Black Swans and Dolphins. Offering powered and unpowered sites and a range of clean, comfortable and affordable self contained ensuite units. Located 3kms south west of Kingscote and within a 45 minute drive from most attractions. Pets Allowed with prior approval from the park owners. Maximum 6 people per campsite. Seasonal rates apply. Based on an un-powered camp site. Offering two self contained cabins, powered and un-powered sites in a bush setting. Located in central Kangaroo Island, conveniently located to all the main attractions such as Seal Bay, Kelly Hill Caves and Flinders Chase National Park. Pets Allowed in the Caravan Park but must be on a lead at all times. Pets are negotiable if staying in the cabins. Maximum 6 people per campsite. Based on an un-powered camp site (low season). Located 200m from the SeaLink ferry terminal at Penneshaw on Kangaroo Island. Take advantage of the close proximity to the beautiful and safe sandy beach at Hog Bay to swim or fish. Powered and Un-Powered campsites, covered BBQ area and amenities. Pet Allowed but Dogs must be kept on a lead at all times. Maximum 6 people per campsite. High season rates apply. Based on an un-powered camp site.. Fully self contained cabins along with powered & un-powered sites ideally situated on 17 hectares or open bushland setting. The Park is situated close to many Kangaroo Island attractions such as Flinders Chase National Park, Kelly Hill Caves and Hanson Bay. Maximum 6 people per campsite. Pensioner discounts available on powered & un-powered sites please enquire. All prices on this page are based on 1-2 persons. Extra person charges apply. Please refer to the individual property page for other accommodation types, minimum night stays and maximum people per campsite.